Ensure you can always enjoy the comfort and convenience of power windows by contacting our technicians for electric window repair. 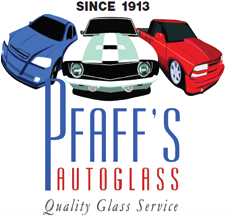 Pfaff's Auto Glass Inc offers comprehensive power window repair in Winston-Salem, NC, and the surrounding areas for vehicles of all makes and models. The technicians at our shop at able to provide solutions for a number of electric window issues, including window regulator repair, motor replacement, and control switch repair. Since 1913, our auto glass repair company has served residents and business owners throughout the state. Whether your personal vehicle needs repair or your company's fleet requires maintenance, we look forward to helping you. 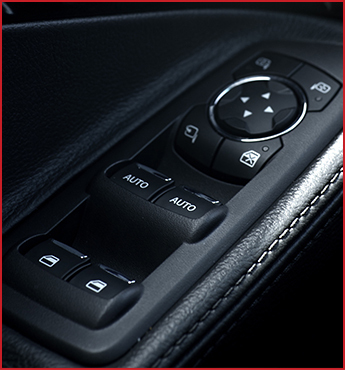 Since they were first introduced, power windows have become a beloved feature in both foreign and domestic vehicles of all types. However, they can cause headaches when they break down. No matter what goes wrong with your windows, our certified power window repair technicians can correct it in no time. Some common parts that we repair and replace include the motors, the gear plugs, the rollers, and the control switches. Allow our technicians to quickly diagnose your specific issue and administer an appropriate, cost-effective solution. Maintain full functionality of your power windows with our window regulator repair services. A window regulator raises and lowers the pane of glass. It also acts as a security feature, since it helps prevent would-be thieves from forcing the glass pane down. You use the regulator every time you raise or lower your window, so it can wear out quickly. When your window gets stuck, our technicians determine whether you need window regulator repair or replacement, then quickly provide the appropriate service. Drive more safely after the sun goes down by visiting our shop for headlight restoration. When your headlights become cloudy, foggy, yellowed, or just plain dim, our technicians restore them to full brightness. We understand that driving a damaged vehicle to a repair shop can be risky. That is why our technicians are also fully equipped to come to you. Whether you need glass replacement or windsheild repair we are happy to work on your vehicle at your location. Our mobile services are available Monday - Friday, so give us a call to schedule an appointment with our technicians. Contact us to speak with our power window repair technicians about your vehicle's need. We proudly serve Winston-Salem, Greensboro, Oak Ridge, Summerfield, Mebane, and Burlington, North Carolina, as well as the surrounding areas.